Local B.C vehicle. Service Records available. A,C. Power windows,Bluetooth. Non smoker,Local trade in. This vehicle was traded in on a pre-Owned CX-3. The previous owner loved this vehicle but decided it was time to get into the Mazda lineup. Since bringing this vehicle in we have completed a full circle inspection along with a premium oil change. We have also completed a full detail to ensure you are getting a new looking vehicle! We offer great financing rates along with extended warranty options that can be tailored to your driving needs! Contact one of our clubhouse advisers today to learn more about this vehicle. Why buy from August Mazda? We offer financing for all levels of credit. August Motorcars is excited to offer this incredible ML350 AMG by Mercedes-Benz,presented in classic Palladium Silver Metallic over Black with Gray Stitching on Exclusive Nappa Leather Upholstery and perfectly complimented by Dark Ash Wood Interior Trim. Expertly detailed by our professional detail bay upon arrival,this very sporty and very well cared for ML 350 AMG comes to us in impeccable condition from just one owner here in B.C.,with no accidents,and passes our stringent 100 point inspection making it August Certified. August Motorcars is excited to offer this incredible C63 AMG by Mercedes-Benz,presented in classic Diamond White Metallic over Black Leather Upholstery and perfectly complimented by Carbon Fiber Interior Trim. Expertly detailed by our professional detail bay upon arrival,this stylish and sporty C63 AMG comes to us in impeccable condition and passes our stringent 100 point inspection making it August Certified. August Motorcars is excited to offer this incredible ML350 AMG Bluetec by Mercedes-Benz,presented in stylish Polar White over Black with Gray Stitching on Exclusive Nappa Leather Upholstery and perfectly complimented by Dark Ash Wood Interior Trim. Expertly detailed by our professional detail bay upon arrival,this very sporty and very well cared for ML 350 Bluetec AMG comes to us in impeccable condition from here in B.C. with no accidents,and passes our stringent 100 point inspection making it August Certified. August Motorcars is excited to offer this amazing ML 63 AMG by Mercedes-Benz,presented in classic Polar White over designo Black AMG Premium Leather Upholstery and perfectly complimented by Piano Black Lacquer Interior Trim. Expertly detailed by our professional detail bay upon arrival,this very sporty and very well cared for ML 63 AMG comes to us in impeccable condition from the original owner,with no accidents,service records,a front end 3M paint protection,and passes our stringent 100 point inspection making it August Certified. August Motorcars is proud to offer this amazing Brabus Edition GL 63 by Mercedes-Benz,presented in gorgeous Obsidian Black Metallic over Black Leather Upholstery and perfectly complimented by Designo Black Piano Lacquer Trim. Expertly detailed by our professional detail bay upon arrival,this rare and extremely well cared for GL 63 AMG comes to us in impeccable condition,with no accidents,and passes our stringent 100 point inspection making it August Certified. Great Lease and finance options available. 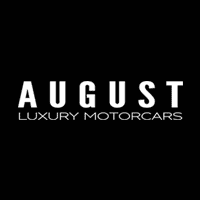 Stop in and see us today,email us at sales@augustmotorcars.com or call us toll free at 250-860-0444 for more information. August Motorcars is honoured to offer this absolutely stunning S63 AMG 4Matic by Mercedes-Benz,presented in classic Obsidian Black Metallic over Exclusive Bordeaux Red Nappa Leather Upholstery and perfectly complimented by Designo Black Piano Lacquer with Flowing Lines. Intricately detailed by our expert detail bay upon arrival,this one owner,luxurious S63 comes to us with no accidents,a front end 3M protective film,and passes our stringent 100 point inspection making it August Certified. From a rejuvenating ''hot stone'' massage to added support when and where you need it most,the active multicontour seats in the S-Class can make driving to the spa more refreshing than the spa itself. Choose from 6 different massage programs for both you and your passenger. August Motorcars is proud to offer this incredible Serenity Sprinter by Mercedes-Benz,presented in classic Mercedes Silver Exterior with Tuscan Interior Decor and perfectly complimented by Cherry Wood Cabinetry. Expertly detailed by our professional detail bay upon arrival,this luxurious and very well cared for Mercedes-Benz Serenity Leisure Travel Van comes to us in impeccable condition from one owner,with no accidents and passes our stringent 100 point inspection making it August Certified. Stop by our showroom at McCurdy Place and see it in person!! Priced to sell and ready to drive,stop by August Motorcars for a closer look or call 1 (250) 860-0444. Great Finance and lease rates available! August Motorcars is honoured to offer this absolutely incredible G63 AMG V8 Biturbo by Mercedes-Benz,presented in gorgeous Polar White over Diamond Stitched designo Black Nappa Leather Upholstery and perfectly complimented by designo Black Piano Lacquer. Intricately detailed by our expert detail bay upon arrival,this one owner,well optioned G63 4Matic comes to us with a front end 3M protective film,and passes our stringent 100 point inspection making it August Certified. August Motorcars is honoured to offer this stunning G63 AMG V8 Biturbo by Mercedes-Benz,presented in classic Iridium Silver Metallic over Designo Black Nappa Leather Upholstery and perfectly complimented by dark Burl Walnut Trim. Intricately detailed by our expert detail bay upon arrival,this local G63 comes to us from the original owner,with no accidents,and passes our stringent 100 point inspection making it August Certified. August Motorcars is excited to be offering another one of our favourites,this stunning G63 AMG V8 Biturbo by Mercedes-Benz,presented in gorgeous Designo Graphite over Designo 2-Tone Classic Mystic Red and Black Nappa Leather Upholstery and perfectly complimented by Piano Black Lacquer Interior Trim. Intricately detailed by our expert detail bay upon arrival,this local G63 comes to us with no accidents,and passes our stringent 100 point inspection making it August Certified. August Motorcars is proud to offer another one of our favourites,this stunning G63 AMG V8 Biturbo by Mercedes-Benz,presented in classic Polar White over Black designo Exclusive Diamond Stitched Leather Upholstery and perfectly complimented by Carbon Fiber Interior Trim. Intricately detailed by our expert detail bay upon arrival,this gorgeous G63 comes to us from the original owner,with no accidents,a 3M front end protection and passes our stringent 100 point inspection making it August Certified.